Eating dirt. Getting dirty. Being a big baby. Crawling, climbing, trying to walk. 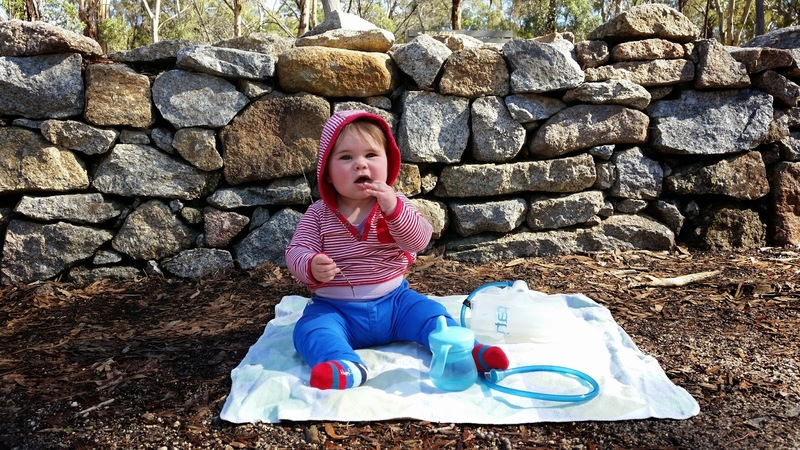 You Yangs carpark, eating stones. Needing a lot more food these days. Talking lots and pointing pointing pointing.